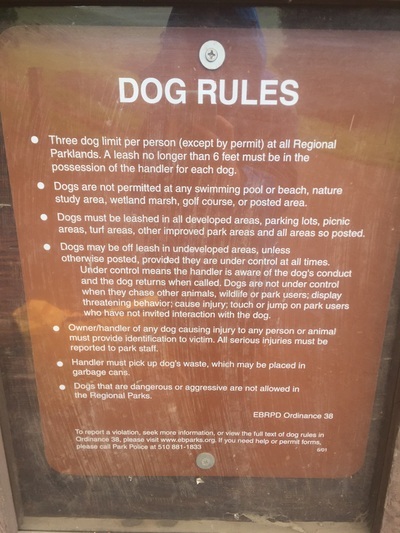 Regulations: Dogs allowed off-leash in undeveloped area. 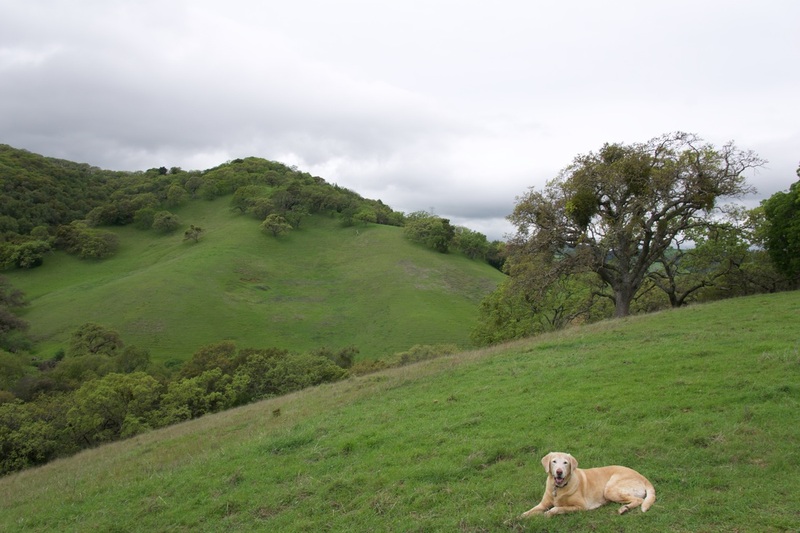 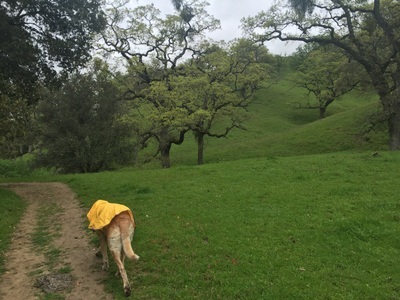 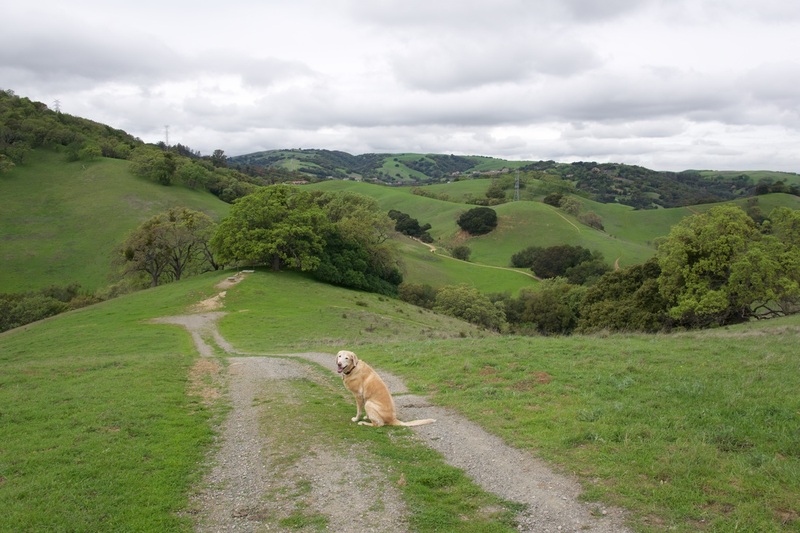 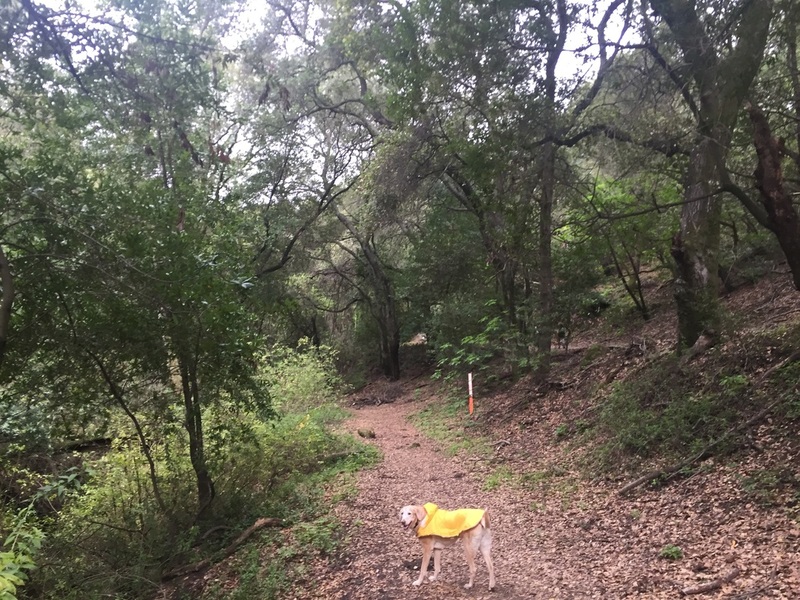 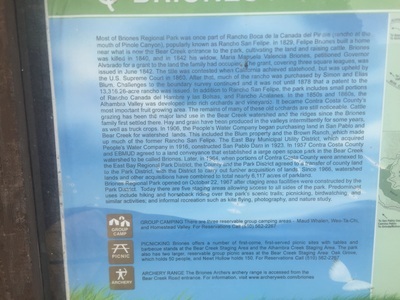 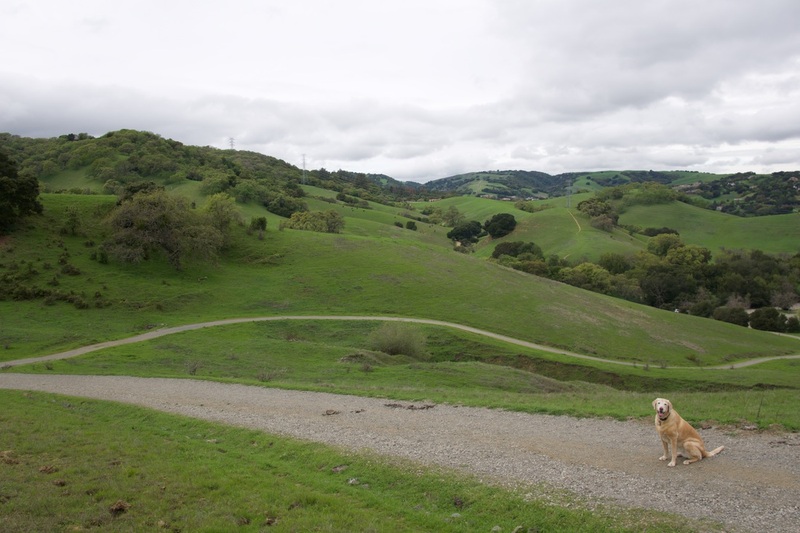 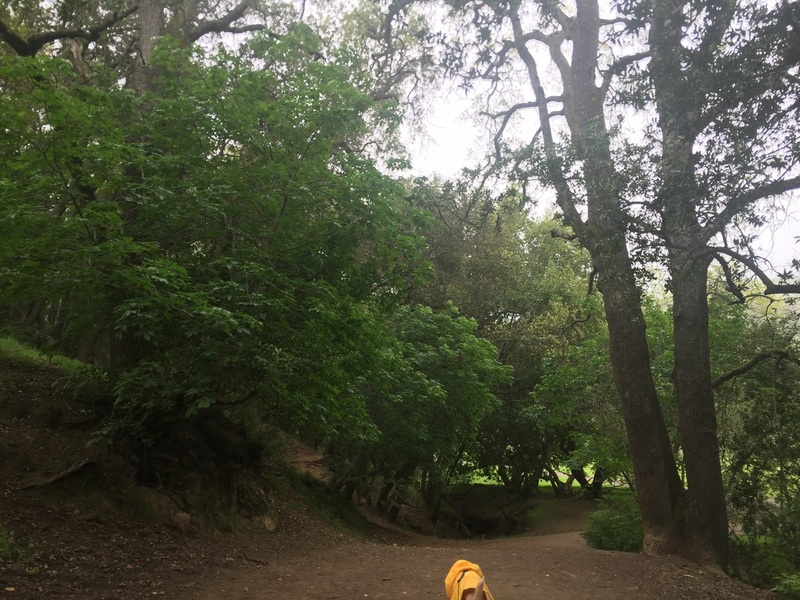 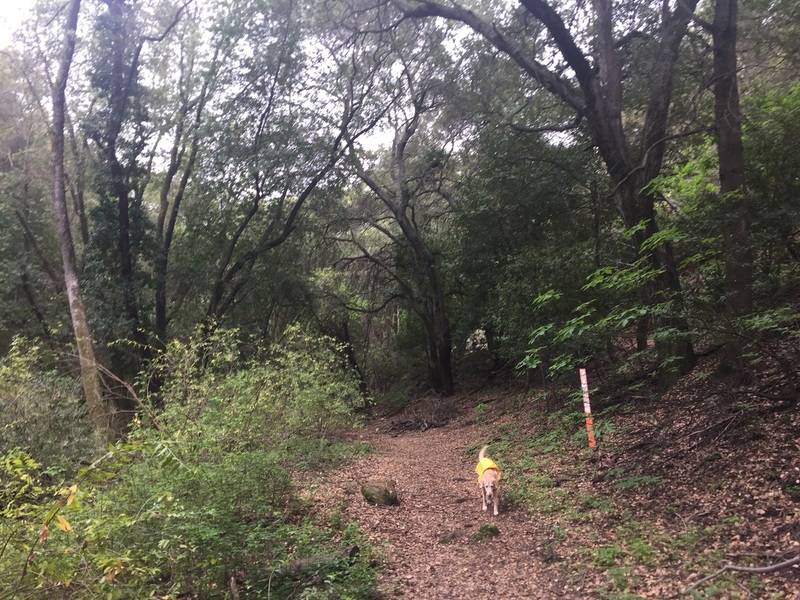 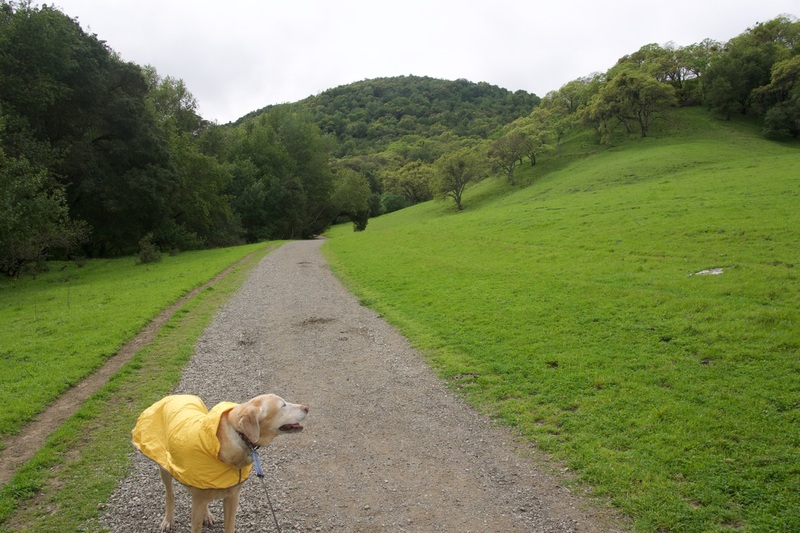 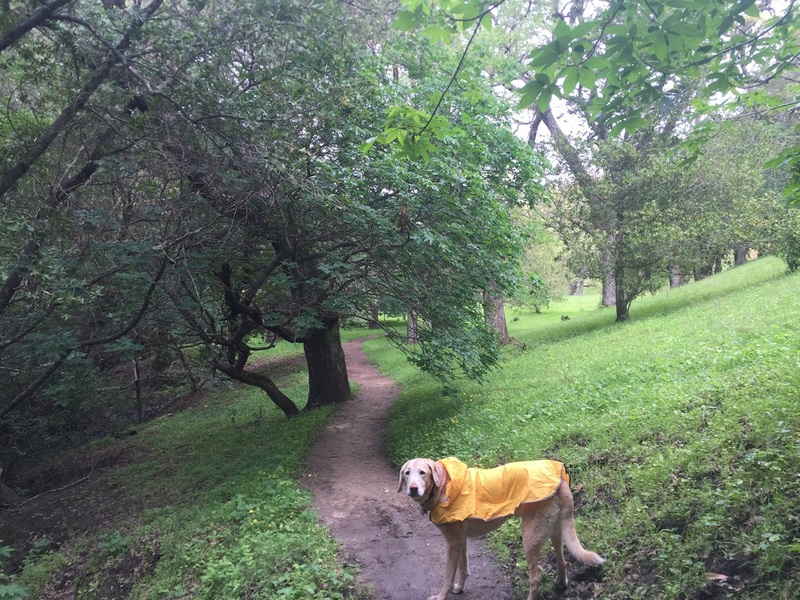 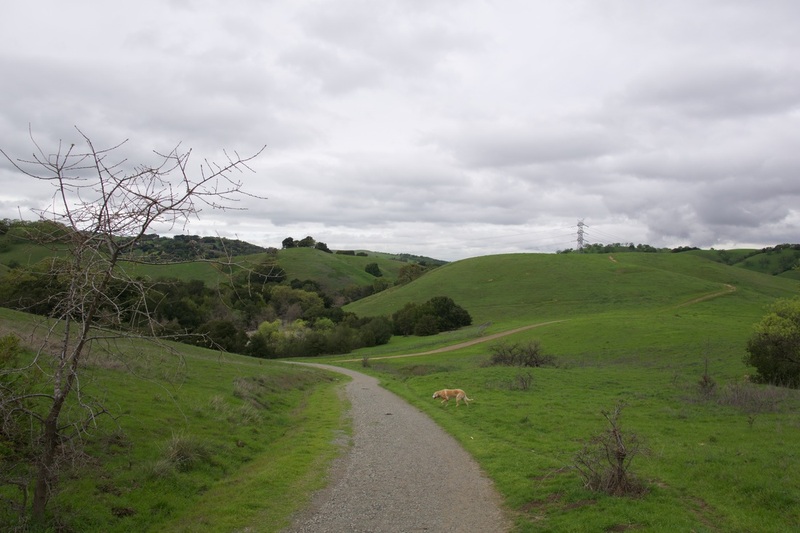 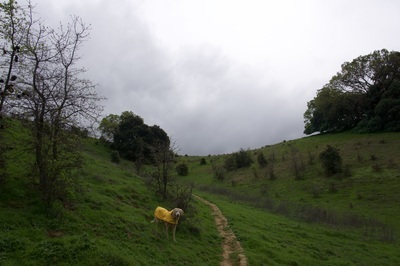 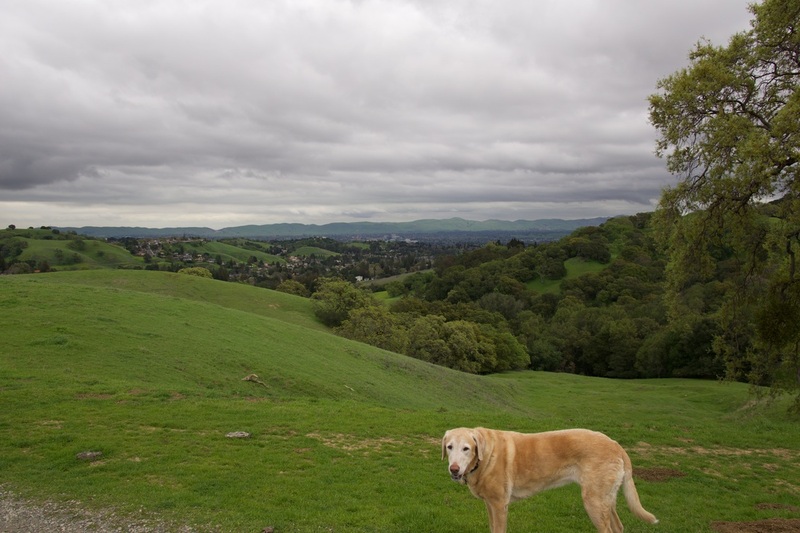 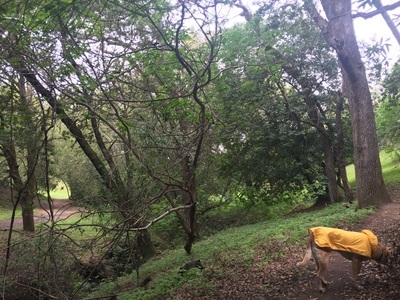 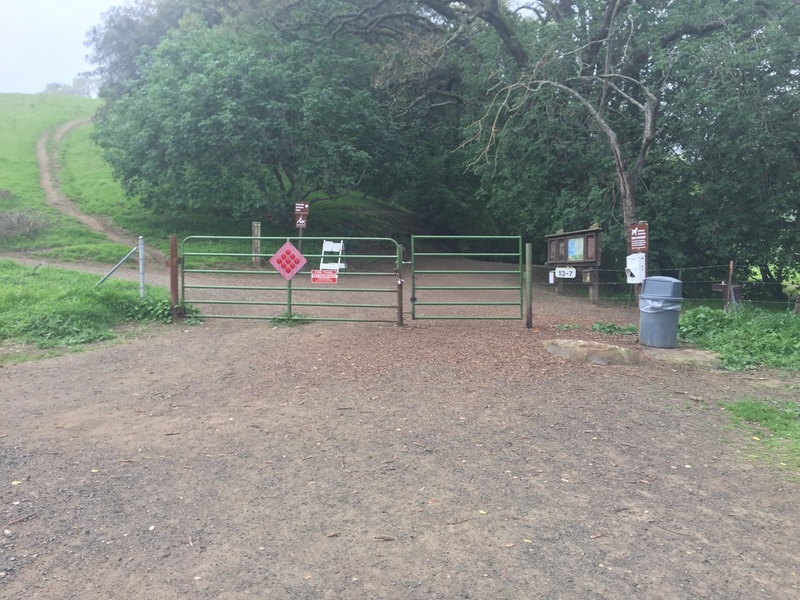 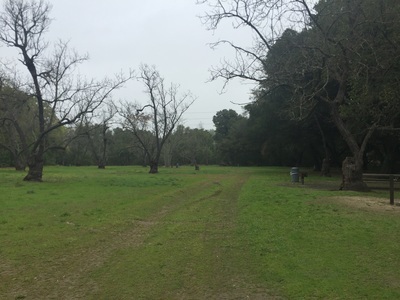 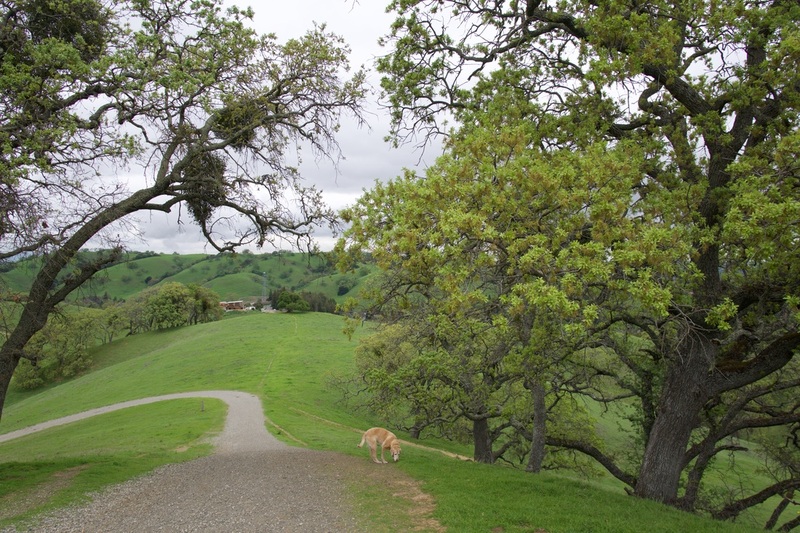 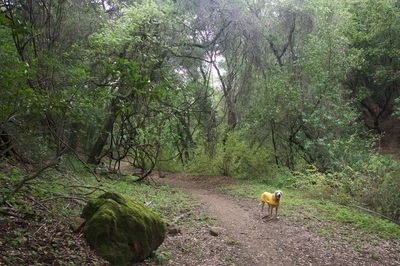 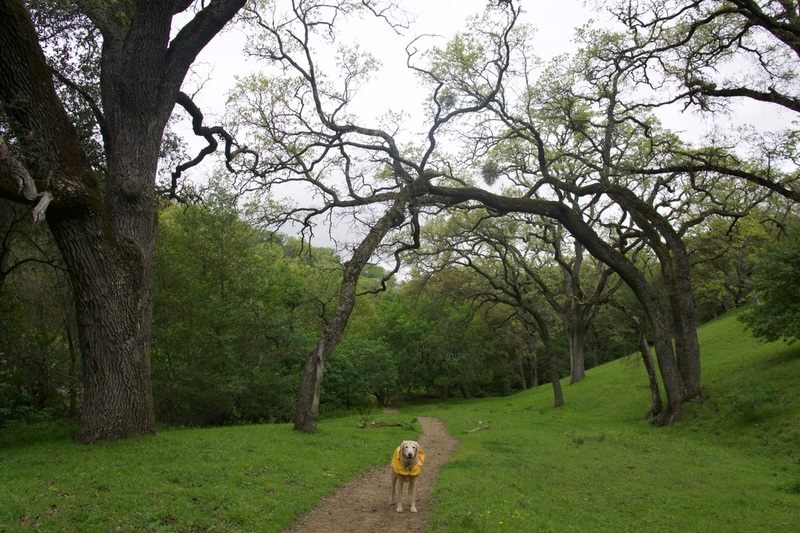 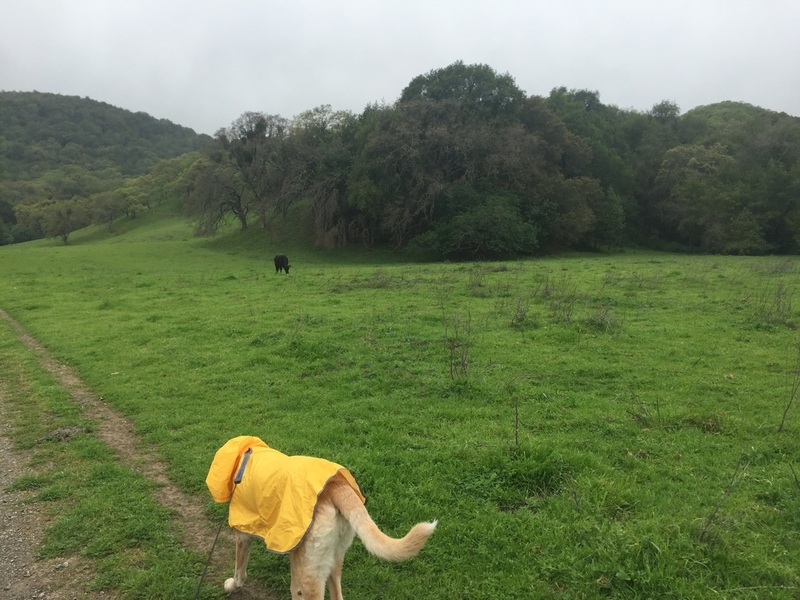 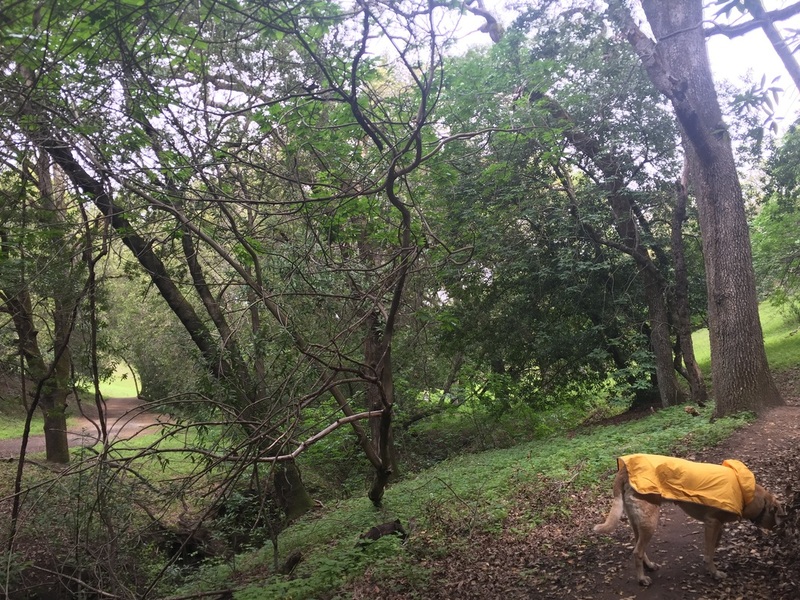 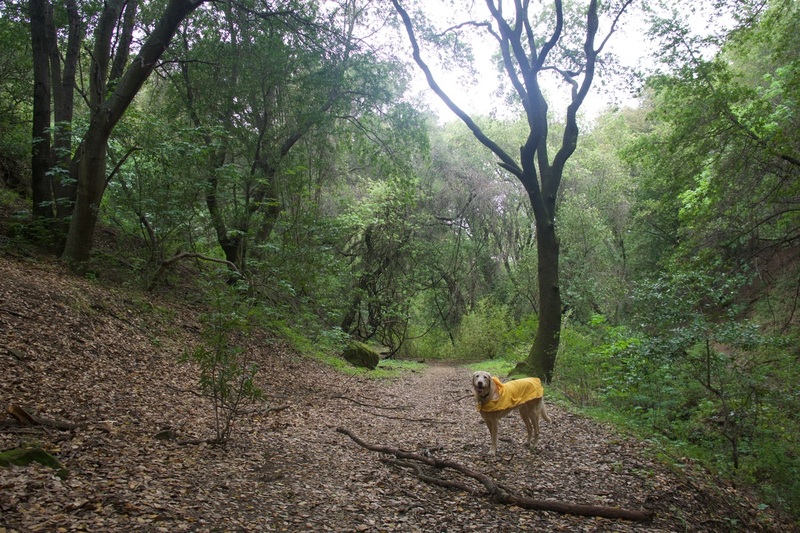 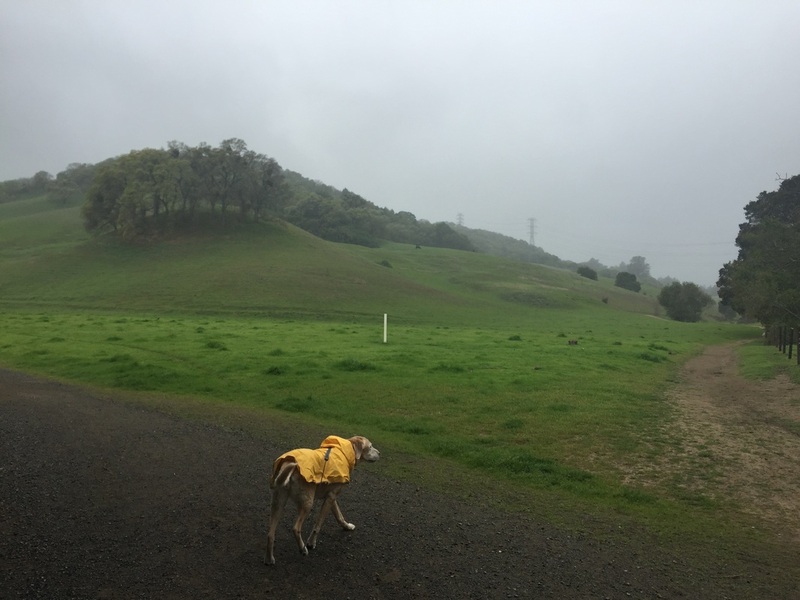 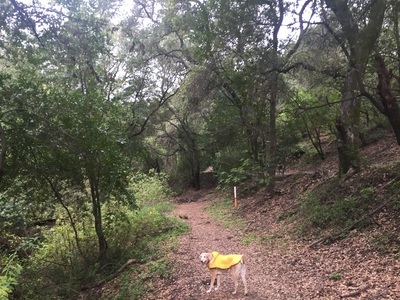 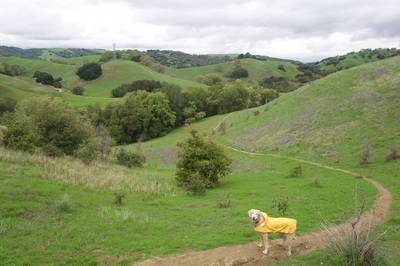 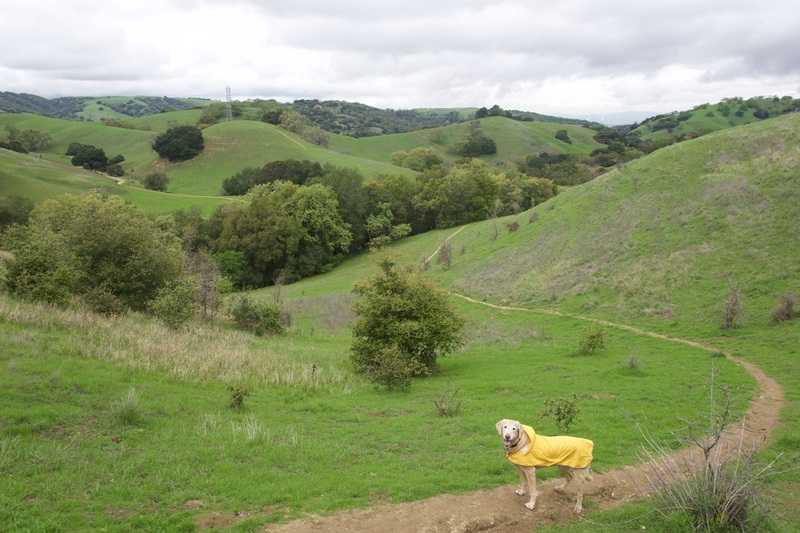 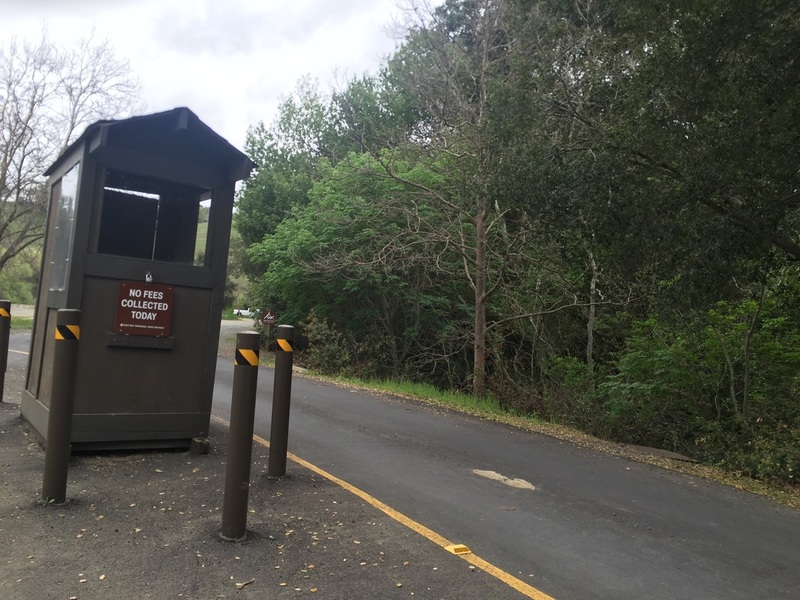 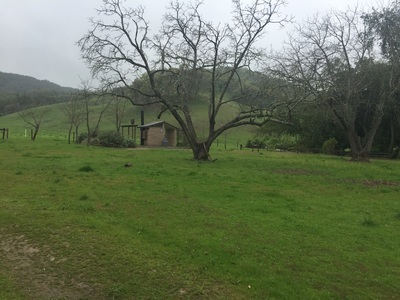 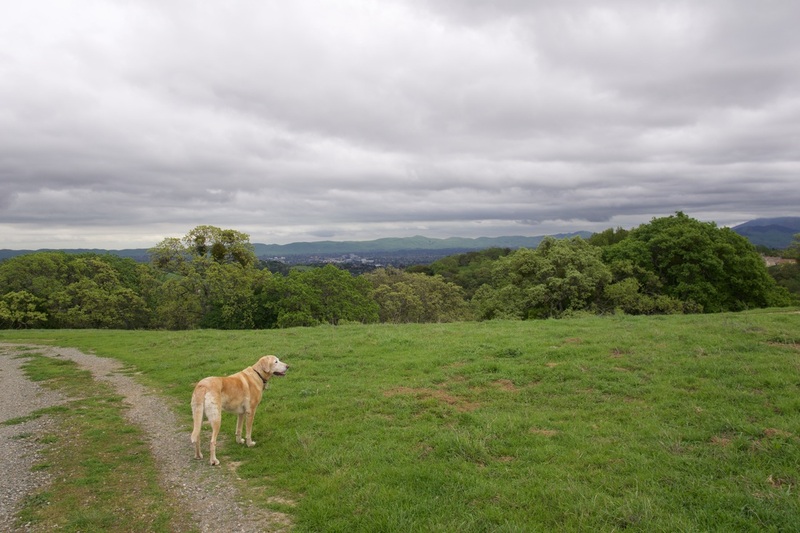 Dogs are required to be on leash (six-foot maximum) on these trails: Tavan Trail, Diablo View Trail between Alhambra Creek Trail and Hidden Pond Trail, Alhambra Creek Trail from the Alhambra Creek Staging Area south to the water trough, and Orchard Trail between Alhambra Creek Trail and west to the Briones Road gate. 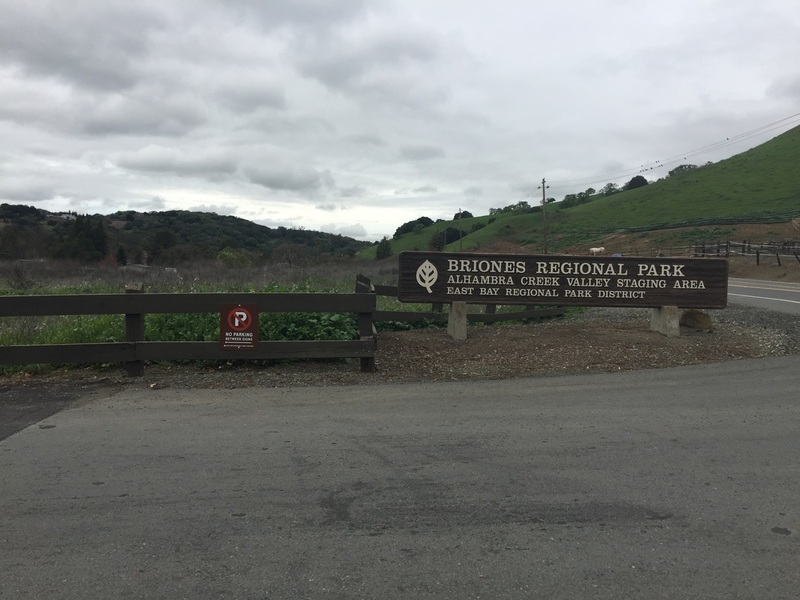 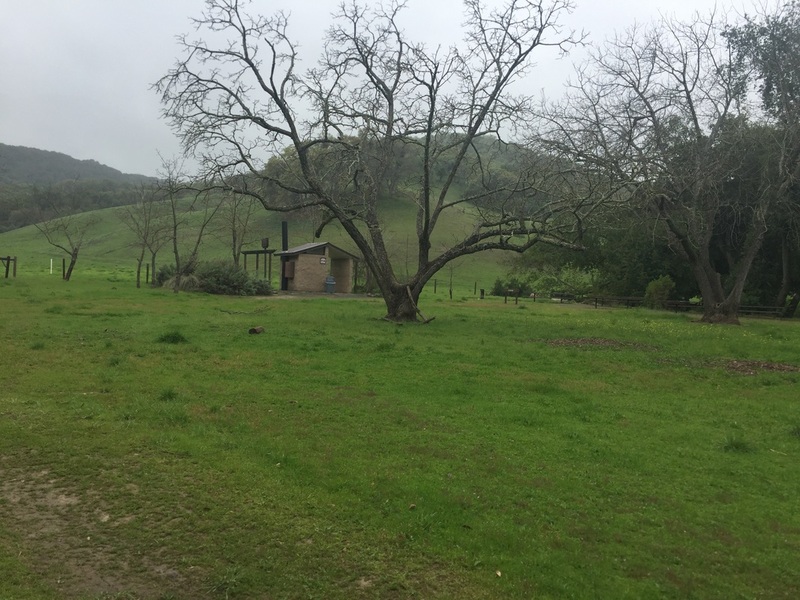 NOTE: During the week of March 7, Briones will be spraying the herbicide "Milestone" by helicopter to prevent the growth of a highly invasive plant, yellow star thistle. 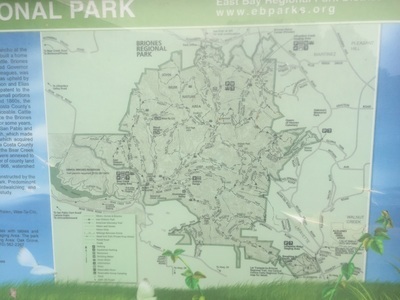 Description: This is a beautiful 6,200+ acre park with miles of hiking trails. Most of the trails are off-leash, and you can find mostly flat trails or more challenging trails on the ridge with views of the city. Most of the trails are not too strenuous, with only a couple hundred feet of elevation change. 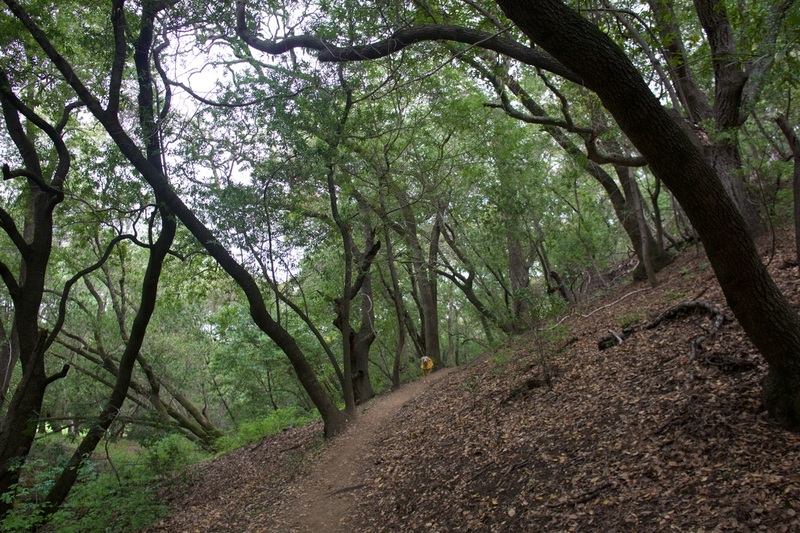 However, if you're up for a challenge you can hike to the middle of the park near Mott Peak, for almost 1000ft of elevation change. 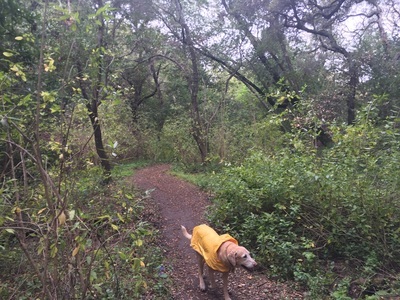 During winter and spring there’s a creek and a few ponds, but right now the creek is mostly dry. 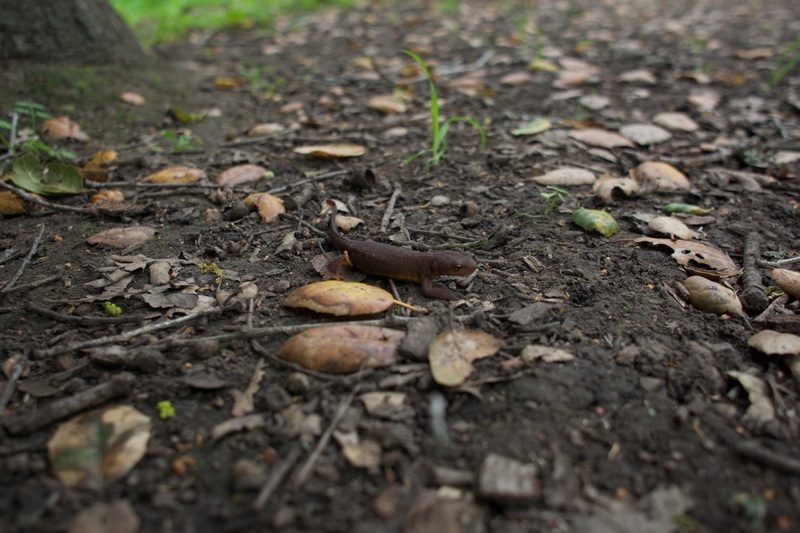 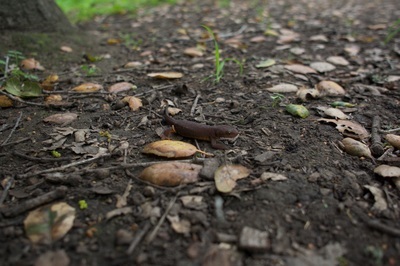 We saw many newts in the parts of the creek that had water. 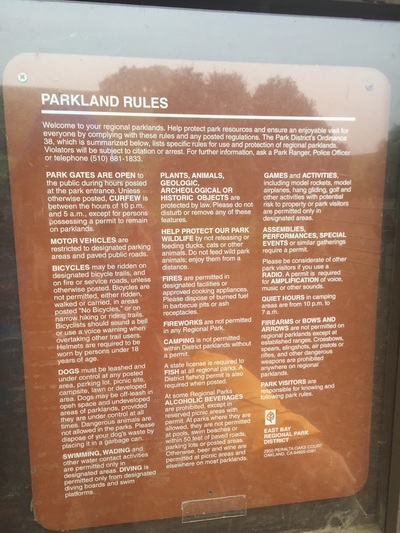 Cattle roam free in this park, but they are not aggressive. We even saw a dog run right up to a group of them, and the cattle barely reacted. Right now the trails are lush and green with wide open grassy fields dotted with wildflowers. 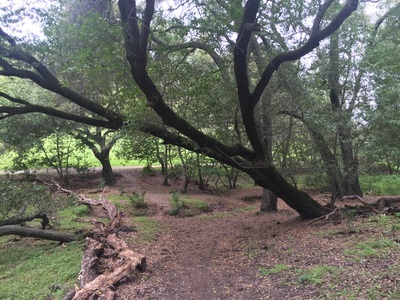 There are a few shady trails lined with oak, and some are covered in moss and fungi during winter. 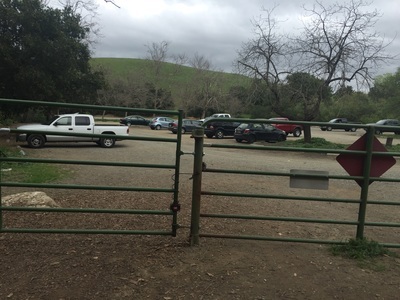 Running water is available at the Alhambra Creek Staging Area. Restrooms are available at the picnic area to the right of the staging area, just a short hike in.